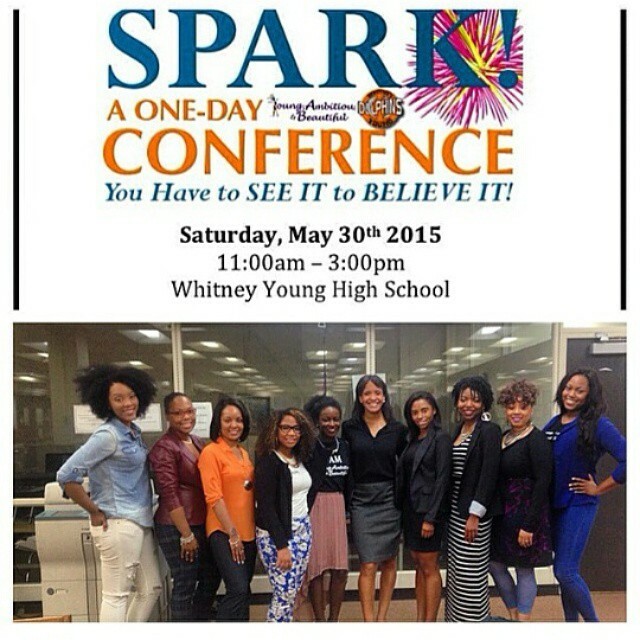 I had a wonderful time last weekend speaking on a panel with these powerful women for Whitney Young High School and Young Ambitious & Beautiful’s Spark conference. What a beautiful high school! I was really impressed by the strength, empowerment, and class of the young women in attendance. I can really tell they will be forces to be reckoned with in the near future. My heart melted when one student came up to me after the panel discussion and said she received a lot out of what I said about seeking and walking into the right opportunities. She even wanted to email me some of her art work she had been working on. She showed me a few on her phone and I was shocked and amazed by her raw talent of drawing colorful human bodies. She also told me about her plans to shoot her first short film this summer! I was so excited to talk to her and tell her about my experiences starting off and pushing her to continue doing what she was doing cause she was already on the right track! 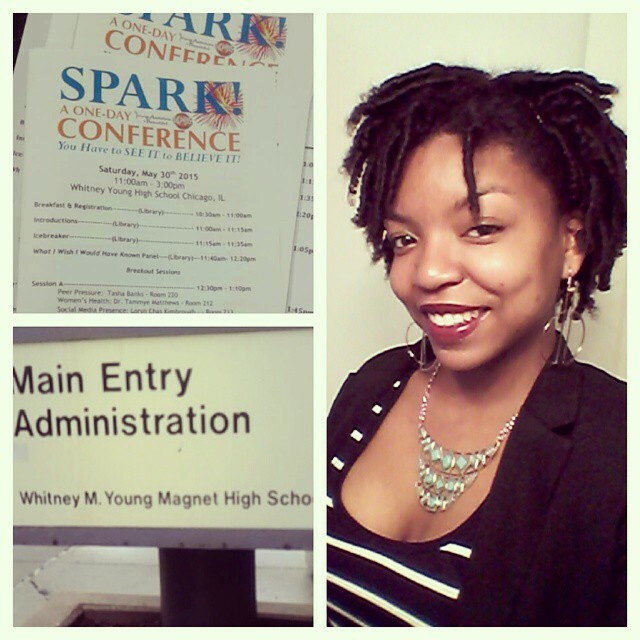 She reminded me of myself, attending events for inspiration and potential opportunities! Hungry! I love speaking to young adult crowds but there is just something more fulfilling about talking to the youth right before they experience college life. I’m so glad I had the opportunity to speak my truth and let them know what I wish I knew before attending. Knowledge is power! I can’t wait to find out what they do with it!